It has many uses, ranging from cooking to cleaning to personal hygiene. Sodium bicarbonate has the chemical formula NaHCO3. It’s a mildly alkaline salt made up of sodium and bicarbonate ions. However, certain diseases or external factors can disrupt this balance. One of these factors is high-intensity exercise, also known as anaerobic exercise (1). During anaerobic exercise, your body’s demand for oxygen exceeds the supply available. As a result, your muscles cannot rely on oxygen to produce energy. Creating energy through the anaerobic pathway produces lactic acid. Too much lactic acid decreases your muscle cells’ pH below the optimal 7.0 (1). This disrupted balance limits energy production and may also reduce your muscles’ ability to contract. Both of these effects ultimately lead to fatigue, which reduces exercise performance (2, 3). Higher blood pH allows acid to move from muscle cells into the bloodstream, returning their pH to 7.0. This enables the muscles to continue contracting and producing energy (1, 4). Scientists believe this is the primary way that sodium bicarbonate can help you exercise harder, faster or for longer (1, 2, 5). Not all studies published to date show the same effects, but the majority agree that it is beneficial (5). Sodium bicarbonate is especially helpful for high-intensity exercise that lasts between 1 and 7 minutes and involves large muscle groups (2, 6, 7). Additionally, most improvements seem to take place near the end of a workout. For example, a recent study observed a 1.5-second performance improvement in the last 1,000 meters of a 2,000-meter (1.24-mile) rowing event (8). The results are similar for cycling, sprinting, swimming and team sports (6, 9, 10). However, the benefits can vary from person to person. They may also depend on the type of activity, gender, personal tolerance and training level (2, 6, 9, 10, 11, 12). 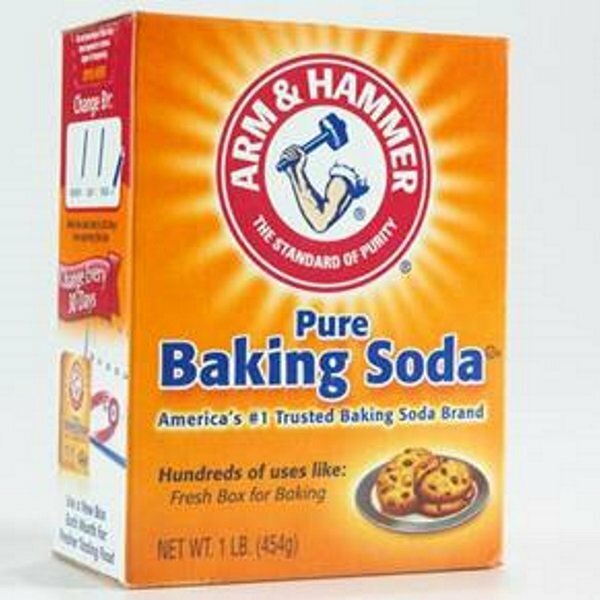 Finally, only a few studies have examined how sodium bicarbonate affects endurance exercise, and not of them all found benefits (13, 14, 15). Studies that looked at this type of exercise found that sodium bicarbonate helped prevent decreases in performance (2, 16, 17). This generally led to overall improvements of 1.7–8% (18, 19, 20, 21). Interval training is very common in many sports, and studies find that sodium bicarbonate intake can benefit judo, swimming, boxing and tennis (22, 23, 24, 25). For example, participants who took sodium bicarbonate during an 8-week interval-training program had cycled for 133% longer by the end of the study period (26). Bottom Line: Sodium bicarbonate likely improves the body’s ability to perform during interval training, which may benefit performance in many sports. In one study, experienced weightlifters who took sodium bicarbonate 60 minutes before a workout were able to do 6 more squats in their first of three sets (27). This suggests that sodium bicarbonate can enhance performance, especially at the beginning of a session (27). For example, one study found that it helped maintain tennis players’ swing accuracy. Another study found similar benefits for boxers’ punch accuracy (24, 28). Promotes dental health: Toothpaste containing baking soda seems to remove plaque more effectively than toothpaste without it (31). Improves response to cancer treatment: Sodium bicarbonate may help improve response to chemotherapy. However, there are no human studies on this (32, 33, 34). Slows down kidney disease: Sodium bicarbonate treatment in people with kidney disease may help delay a decline in kidney function (35). Most studies agree that a dose of 90–135 mg per pound (200–300 mg/kg) of body weight produces benefits, and it should be taken 60–90 minutes before exercise (5). For example, one study showed that taking 90–135 mg/lbs (200–300 mg/kg) 180 minutes before exercise was just as effective, but decreased stomach problems (36). You can also decrease side effects by taking it with water or a meal (11). Finally, splitting your sodium bicarbonate dose into 3 or 4 smaller doses and spreading them over the day may also help improve your tolerance. Just keep in mind that the effects last only up to 24 hours after the last dose (37, 38). Larger doses may severely increase blood pH. This is dangerous and can disturb your heart rhythm and cause muscle spasms (39, 40). In addition, when sodium bicarbonate mixes with stomach acid, it produces gas. This may cause abdominal pain, bloating, nausea, diarrhea and vomiting (1, 41). Not everyone will experience these side effects. The severity of symptoms can vary based on the amount taken and personal sensitivity (42, 43). In addition, large amounts of sodium can make your body retain water. While increased hydration could be useful for those exercising in the heat, it may be disadvantageous for those competing in weight-category sports (5). Finally, sodium bicarbonate is not recommended for women who are pregnant or breastfeeding. Nor is it suggested for people with heart disease, kidney issues or a history of electrolyte disturbances such as aldosteronism or Addison’s disease. It may also increase strength and help maintain coordination in tired muscles. That being said, this supplement does not work for everyone. The only way to find out if it will work for you is to give it a try.